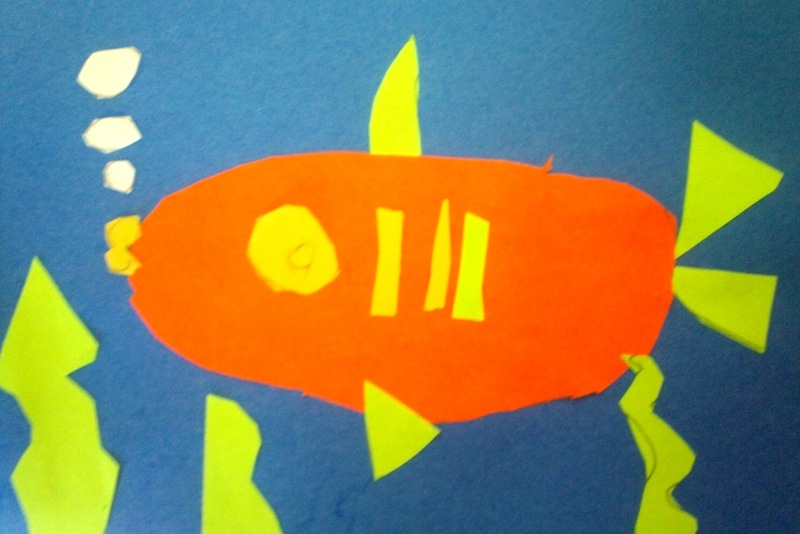 I do a fish unit at the beginning of almost every year for Kindergarten. 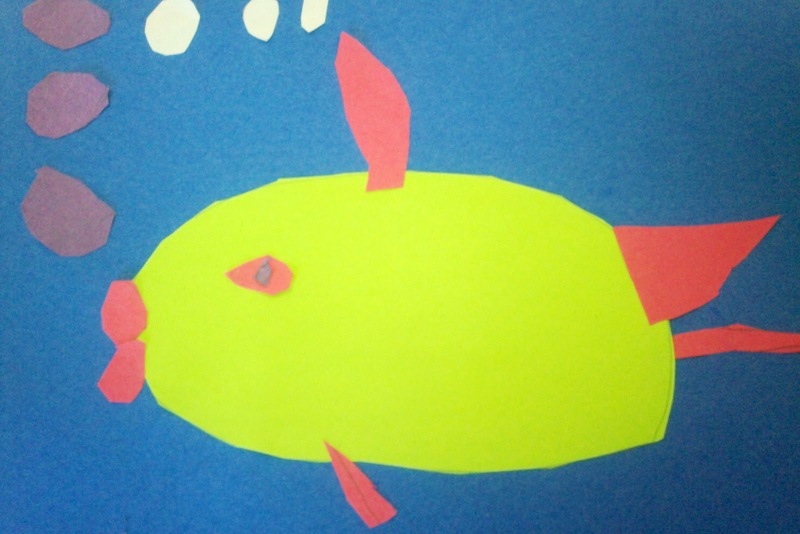 I feel that the simple shapes are great to reinforce, using the same object/theme for your beginning lessons allows you to focus on introducing new media...which is very important for kindergarten, students gain a level of confidence & success when working within the same theme, and I have an amazing selection of fish themed books to kick off each lesson(ha ha). 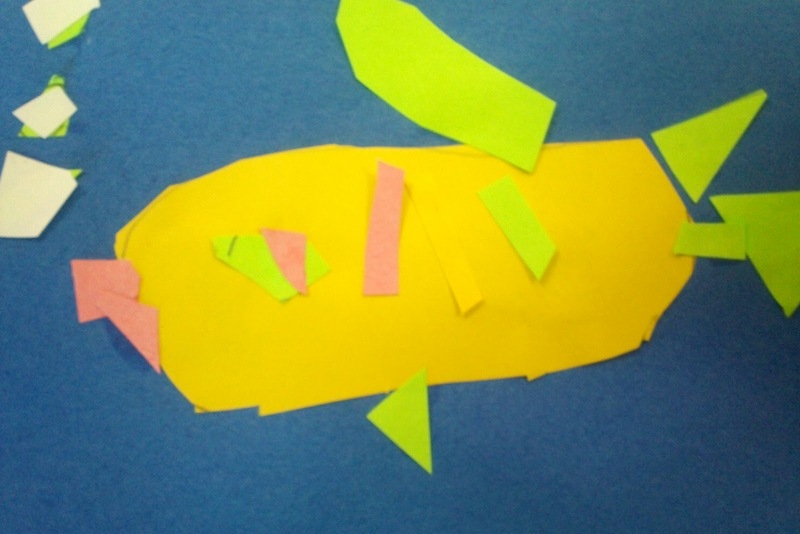 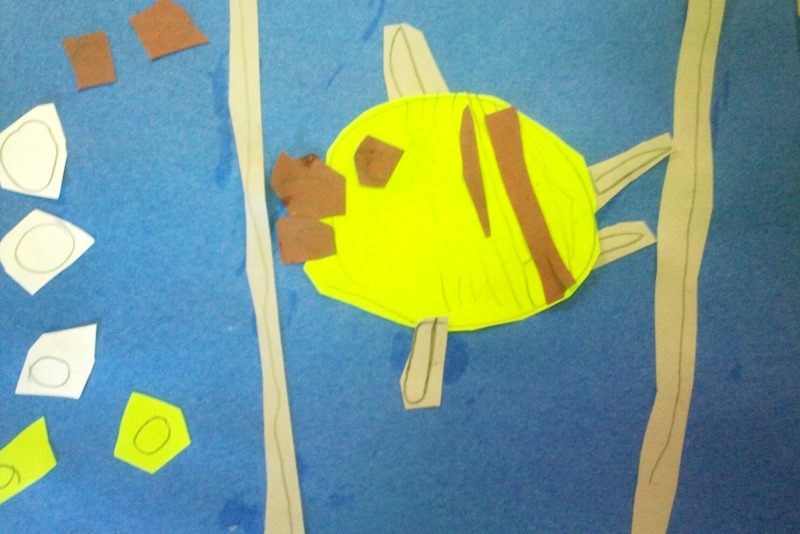 Here are some of the fish collage pictures created under my student teacher's supervision.